Recently, a group of people has been holding various mass rallies using the issue of the Armenia-Azerbaijan Nagorno-Karabakh conflict, Azerbaijani MP Siyavush Novruzov said Oct. 5 at a plenary session of the Azerbaijani parliament. This issue is raised by people who have nothing to do with Nagorno-Karabakh, and this confuses the public of Azerbaijan, he said. He noted that the issue of Nagorno-Karabakh is always in the center of attention, and Azerbaijani President Ilham Aliyev carries out the necessary work in this direction. The MP added that Nagorno-Karabakh belongs to all Azerbaijanis, noting that Azerbaijan demonstrated its readiness to resolve the Nagorno-Karabakh conflict during the negotiations, as well as strengthening its army. 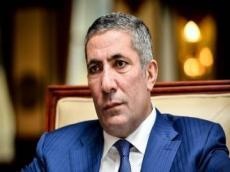 The MP added that the Azerbaijani state is taking the appropriate measures to improve the living conditions of more than one million refugees and IDPs, building houses and apartments. Novruzov also said that the conflict isn’t solved by rallies on the football fields. The protesters shouldn’t play with the feelings of others by using the Nagorno-Karabakh issue, he added.